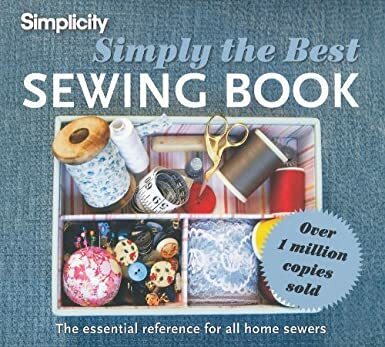 A little while back I ran a competition on my Facebook page for this fantastic Simply The Best Sewing Book from Simplicity. After being gifted a sewing machine from one of my Mum's friends I was filled with excitement about all the great things I was going to be able to make. My sewing skills aren't up to much at the moment but I wanted to share with you some of my first makes and also a few idea's of things I want to try in the coming months. With the help of my Sewing Book as a reference and a bit of help from my sister I learnt all of the different settings on my machine and using pieces of paper I began practicing sewing in straight lines! Always best to start with paper so as not to waste your fabric. Next it was time to make something simple. 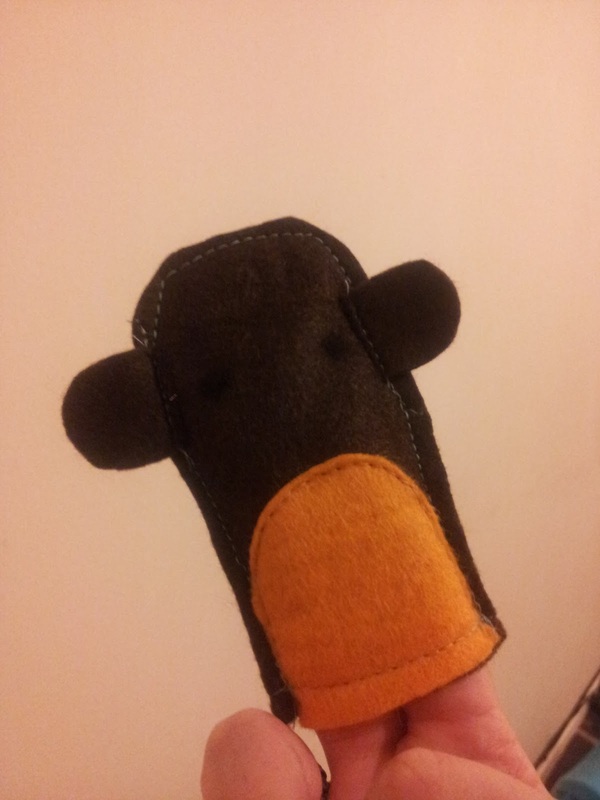 I was still learning so decided a basic hand puppet would be good for practicing my technique. I made Ted a small dinosaur complete with spikes down his back. The stitching ran off the end of the fabric leaving me with a gap between the front and back...not what I had hoped for in my first attempt but I soon learnt to go slowly and leave plenty of margin for stitches. My next couple of designs, a Monkey and Squid, were a bit better but still far from perfect. I think I may need a lot more practice but have learnt that matching threads will help to cover up any mistakes as much as the contrasting threads look lovely they are perhaps best kept for the pro's! I will keep practicing and hopefully it won't take me long to get better, I can't wait to start churning out handmade gifts and unique clothes for Ted! Aaaaaaand....Balloon Cushions for a Hot Air Balloon Chair I have designed! I have been sent a couple of templates for some clothes and a superhero cape for Ted which I am so excited about but think I need a bit more experience before attempting them. I will be sure to share them with you when I finally manage them though! The Simplicity Sewing Book was a great help learning the basics and also includes some more technical advice and top tips for getting the best results in your sewing. I can't wait to learn more and work my way through the book! *I was sent a sample of this book for the purpose of an honest review but all opinions are my own. Looks great. I would love to learn how to sew, I can hand stitch if I have to but I'm pretty rubbish at it. I think I'm gonna just bite the bullet and buy a sewing machine then try to learn what to do! I have my own sewing machine and really should get it out and practice more. I could do with a book like that for some inspiration.